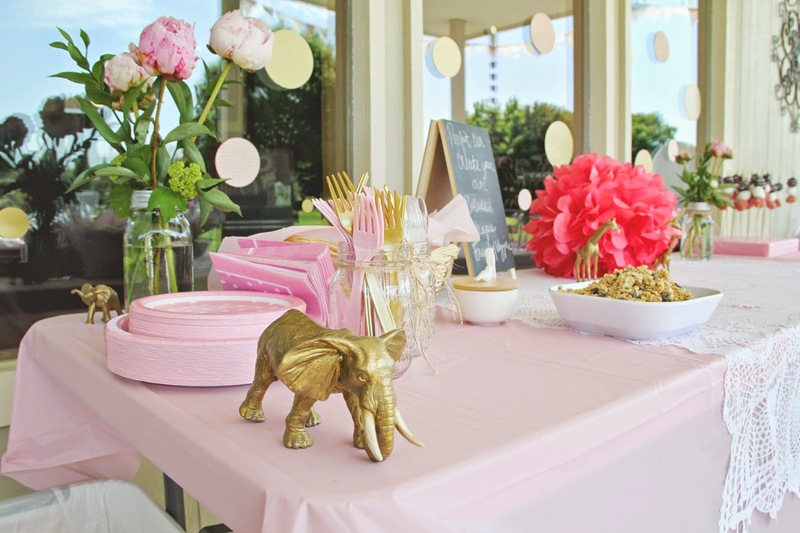 It's amazing what some gold spray paint and a circle cutter can do to bring together a baby shower on a budget! 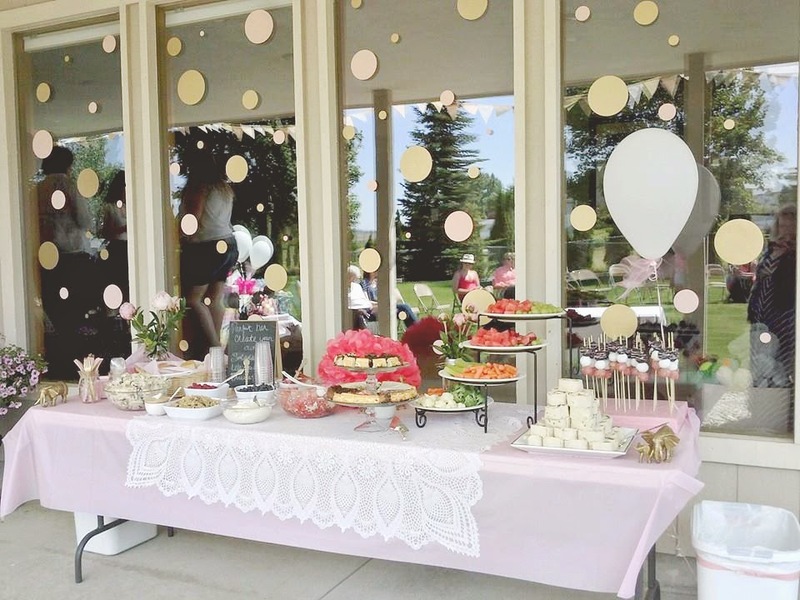 At the beginning of this month I had the pleasure of co-hosting a shower for my cousin Britt and her baby girl Brynlee. Just like me, her sister and her have an eye for style and detail so we all had fun dreaming up this shower. Like always I started with the invite to draw inspiration from - We were instantly in love with the "touch of gold" invite by Tiny Prints. 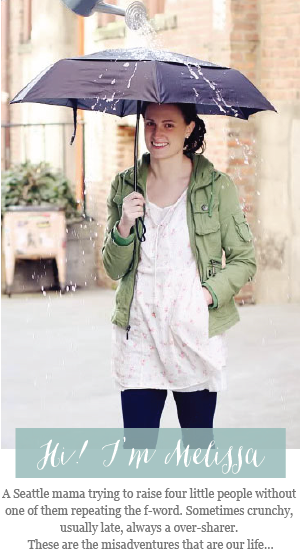 Their selection continues to wow me with beautiful styles added weekly. What an opening statement it makes to send out such a gorgeously crafted and detailed invite! Then, with a quick peruse of Pinterest we added dollar store animals and spray paint to our shopping list. 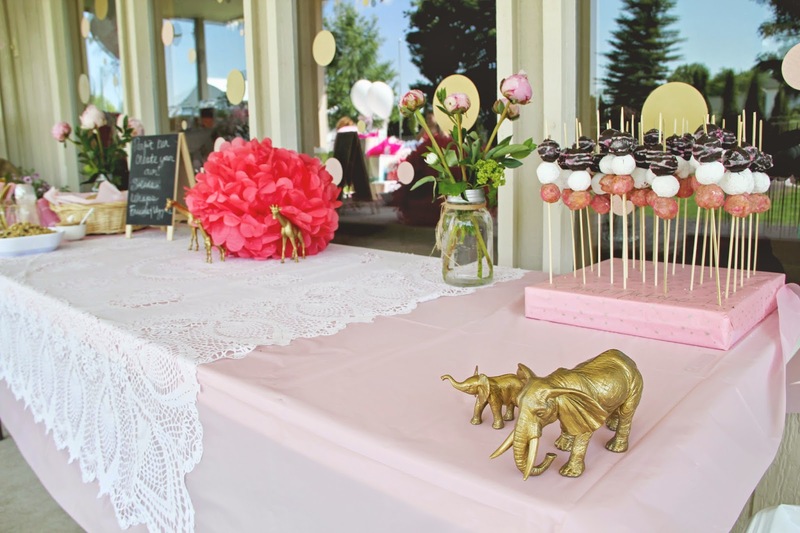 That paired with some shiny textured pink and gold circles we were pretty much set on the decorations. We added little details here at there with the welcoming chalkboard, "are you my mother?" 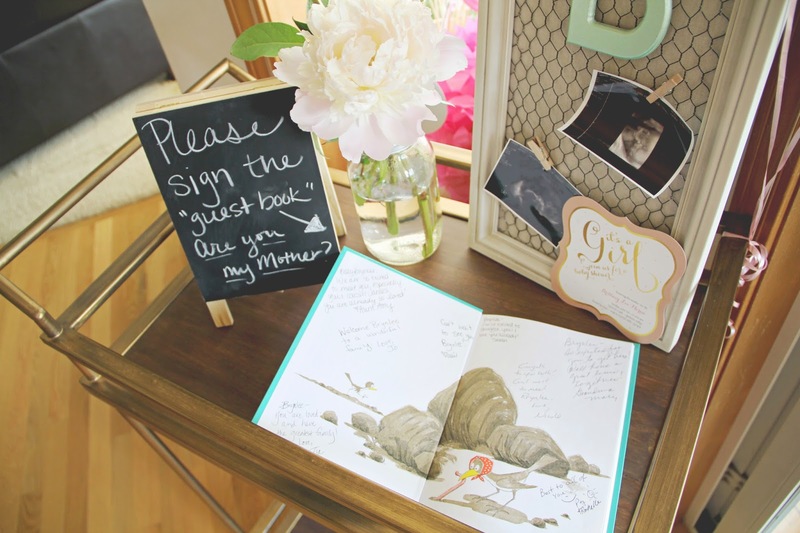 guest book, and some strategically placed lace. Peonies were also in no short supply as they can make anything an elegant affair. 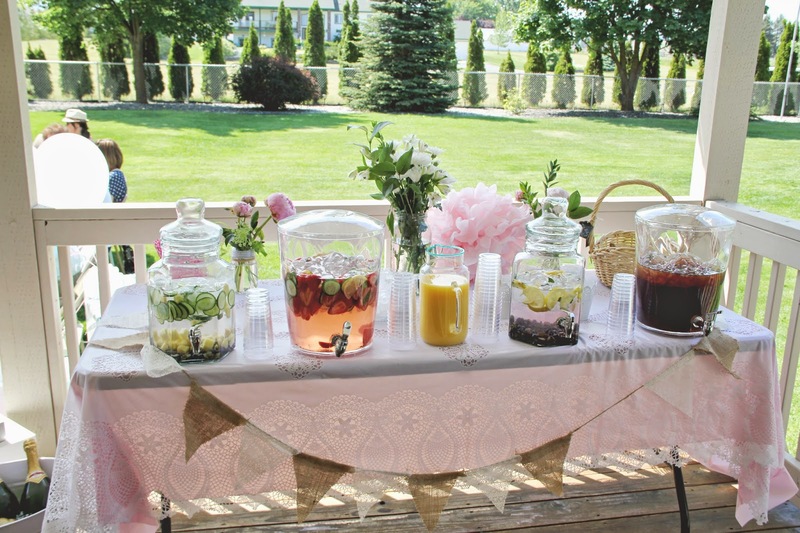 As always my favorite hosting detail is to put cutlery in mason jars with ribbon or other flair - it add the perfect finishing touch. 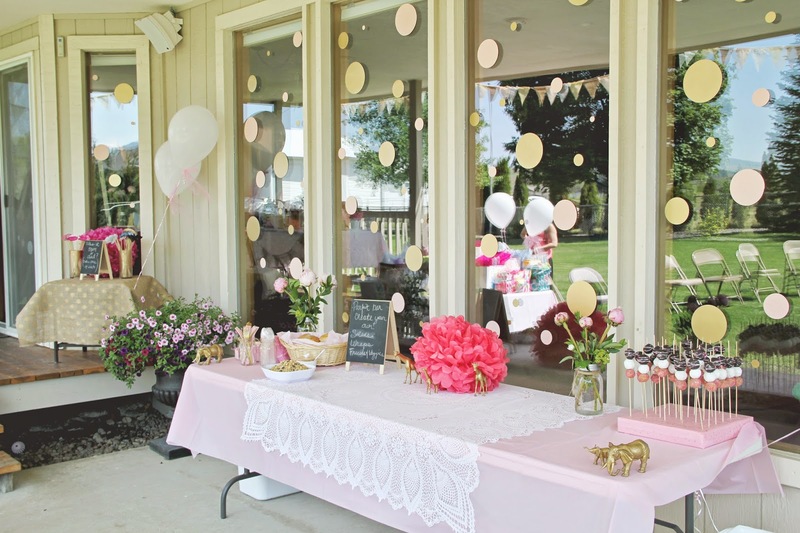 A baby shower doesn't have to cost hundreds of dollars to be memorable! The perfect shower food on a hot day? Light snacks like wraps and readily available fruit and cool veggies. The tasty infused waters even became decorations of their own. I'm drooling a little just looking back over these photos - yum! 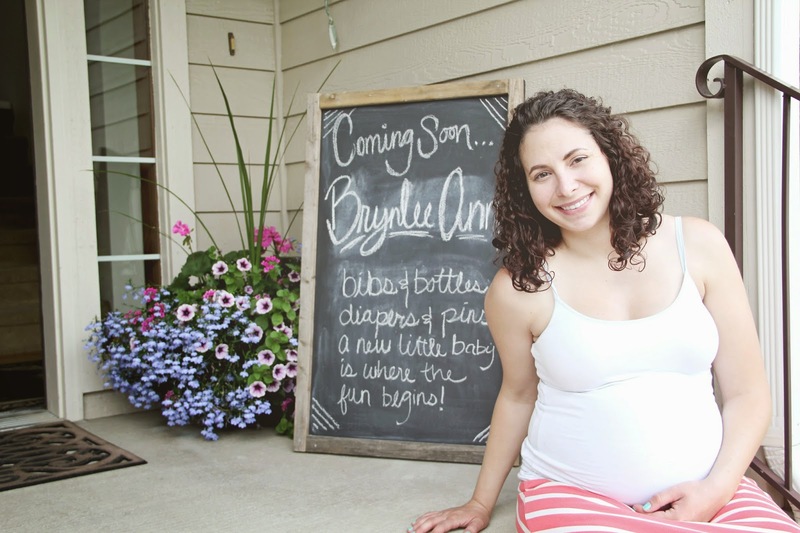 Congratulations to Britt and Brian, we can't wait to meet Brynlee!